LGBT Photography Flyer, a photo by Pride in Our Past on Flickr. 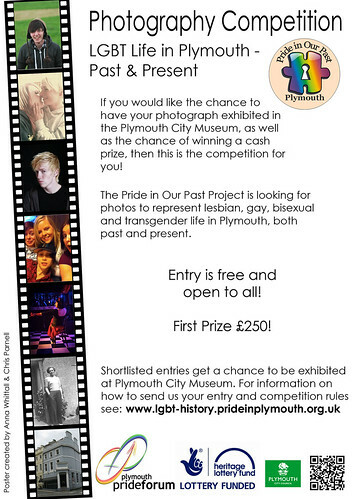 Photography Competition – LGBT Life in Plymouth Past and Present. Look out for our new poster promoting the Pride in Our Past photography competition kindly designed by volunteers Anna and Chris.